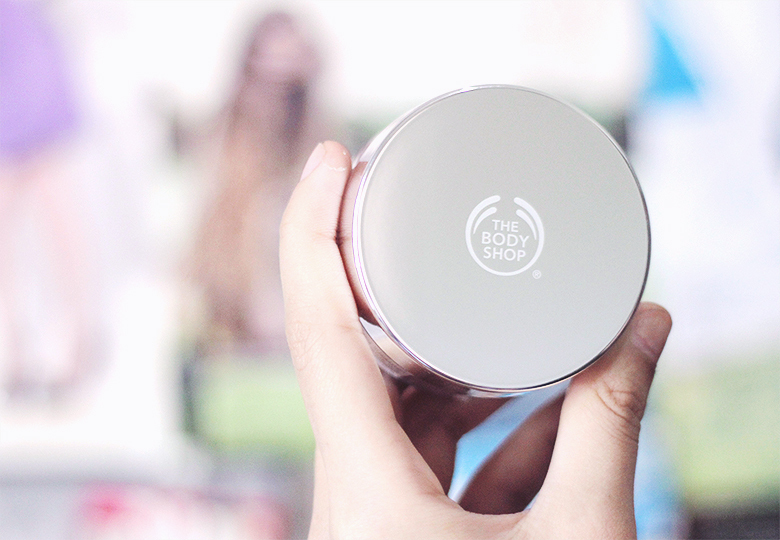 I've been receiving a lot of questions of what products I'm using for make-up, and I decided to write about my daily make-up recommendation, from base to finishing! 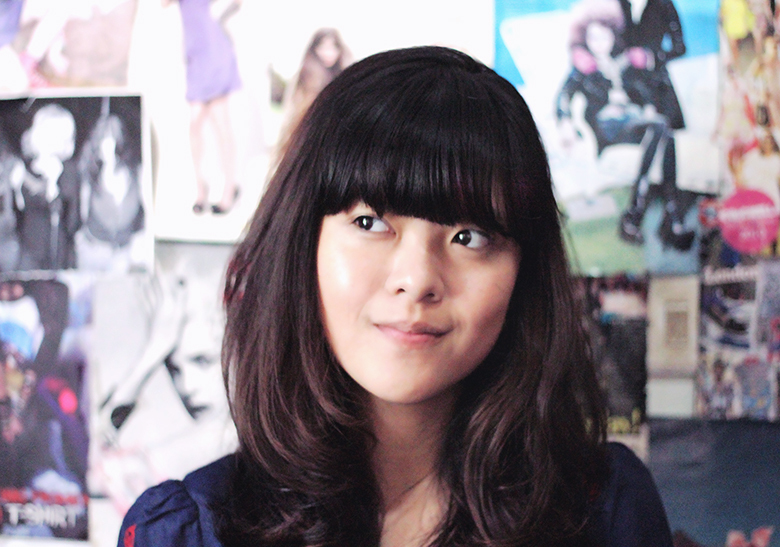 I don't use heavy make-up on daily occasions since it feels tiring to have thick layer of foundation on your face for a whole day and it's not good for your skin too, so I try my best not to use foundation too often. 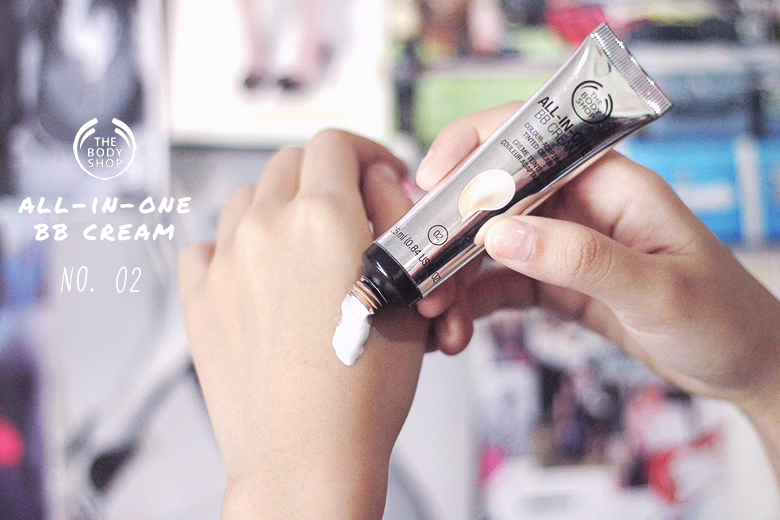 So glad that The Body Shop launched this awesome all-in-one BB cream! 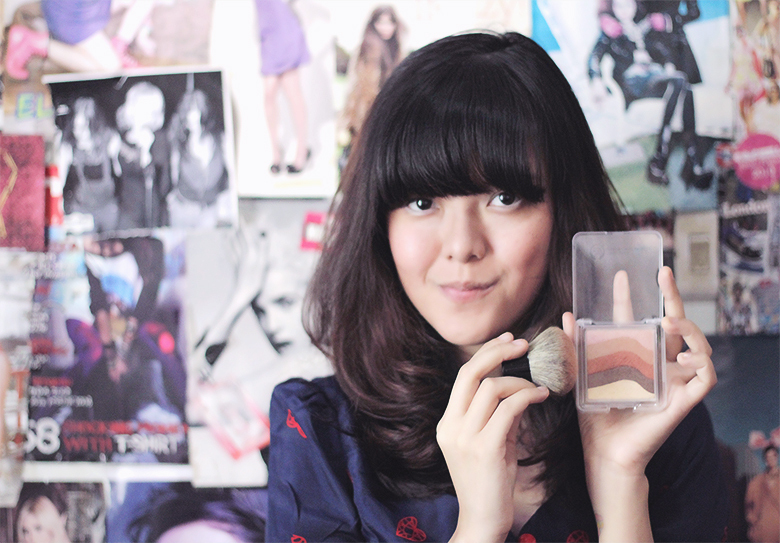 - light texture, it doesn't feel like you're wearing make-up. - it covers freckles and blemishes. - non-clogging, so it won't cause acnes. 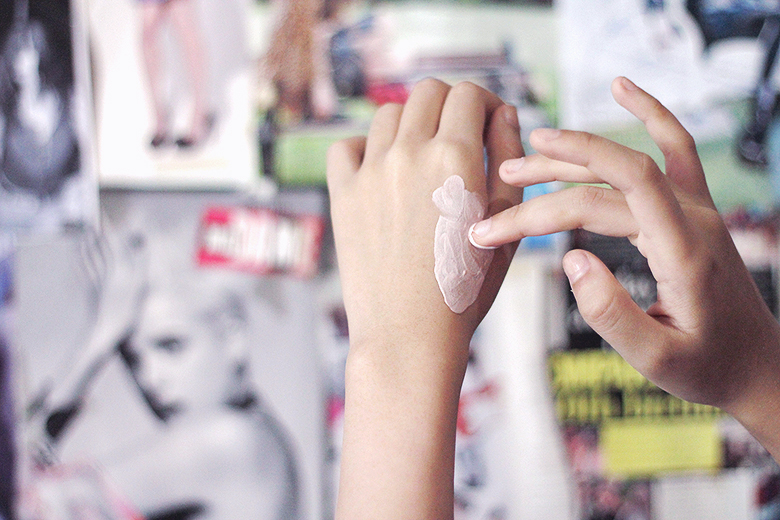 - colour adapting, all you have to do is blend the cream on the back of your hand and it will adapt to your skin tone in a minute! 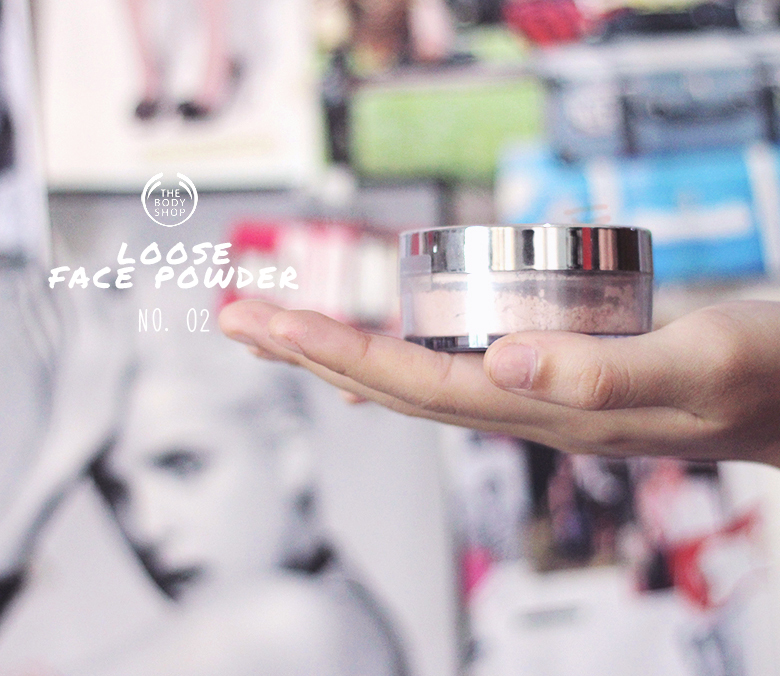 For matte finishing, apply this loose powder lightly on your face using powder brush. 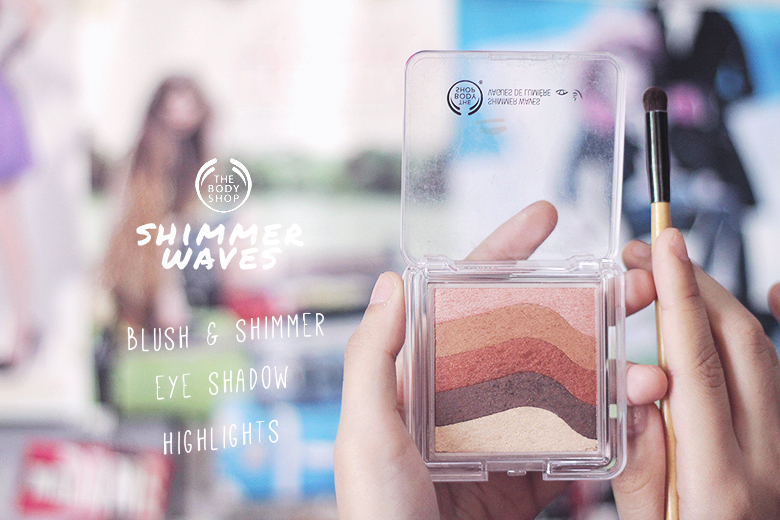 To get fresh look and even more glows on your face, apply this multi-purposed Shimmer Waves! 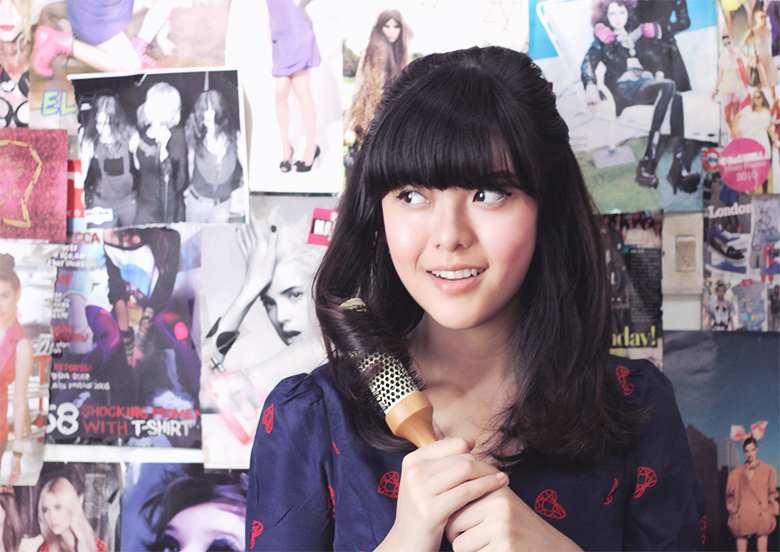 This multi-purposed Shimmer Waves is a must-have. 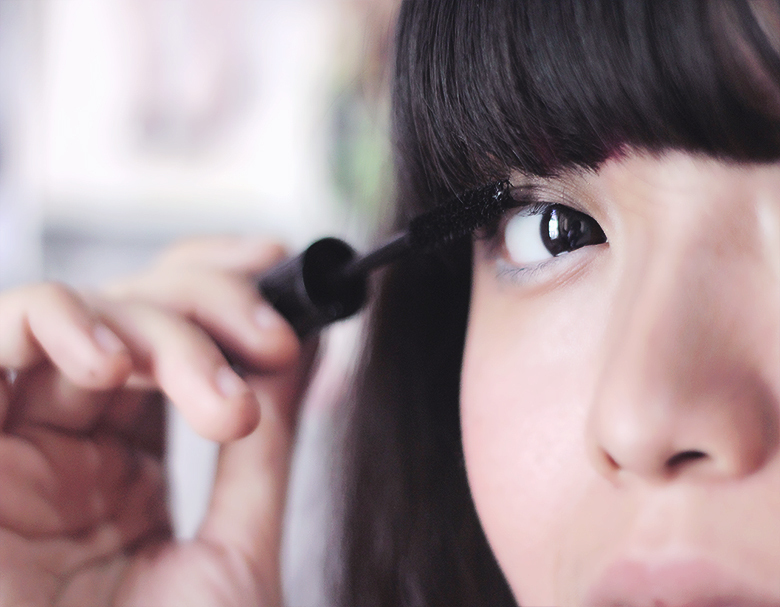 ...Open up your eyes with mascara & eyeliner. 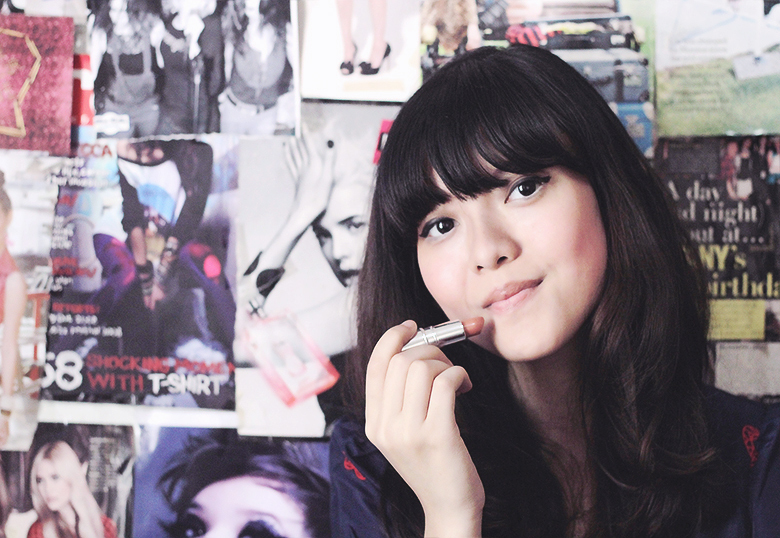 I am a fan of lipstick! 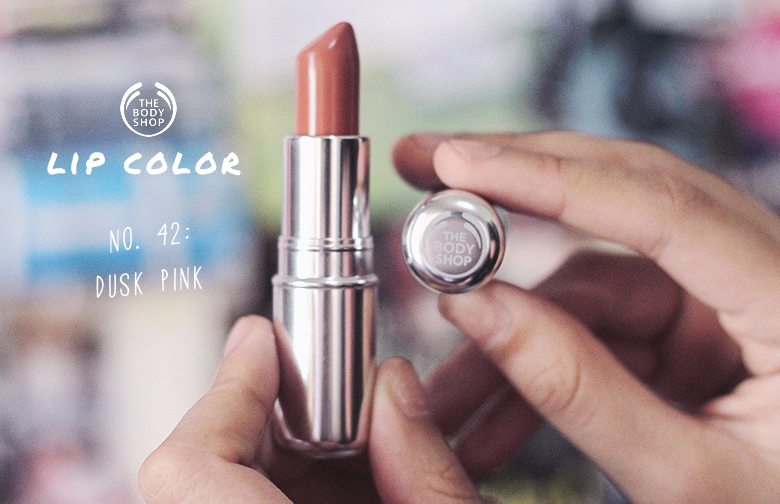 I have different colours of lipsticks and I use The Body Shop's Dusk Pink for natural look. 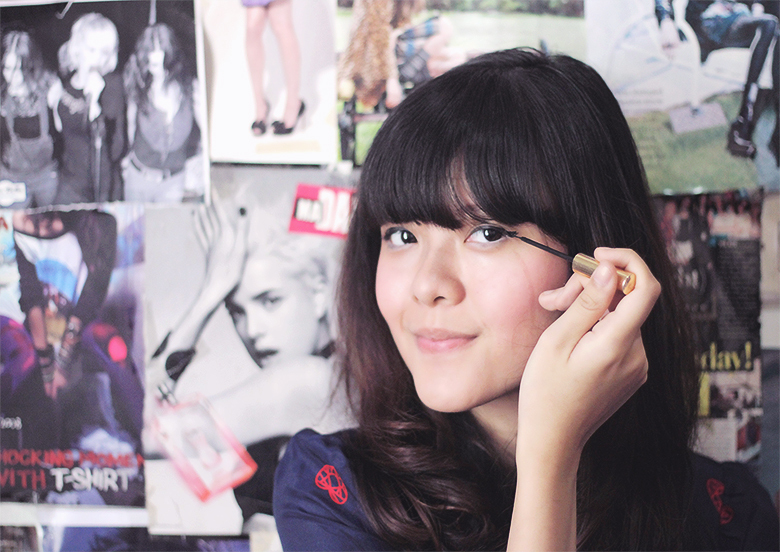 Not too glossy and not matte either, just perfect for daily routines. 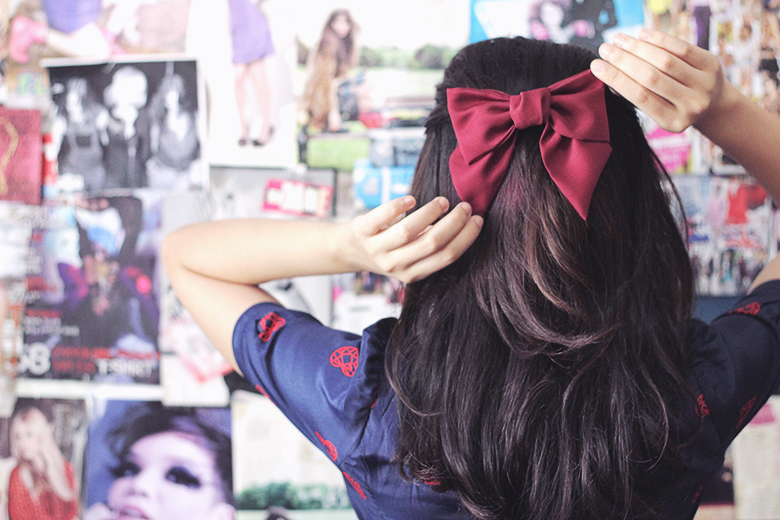 Hair bow from Hair Ribbon Shop! 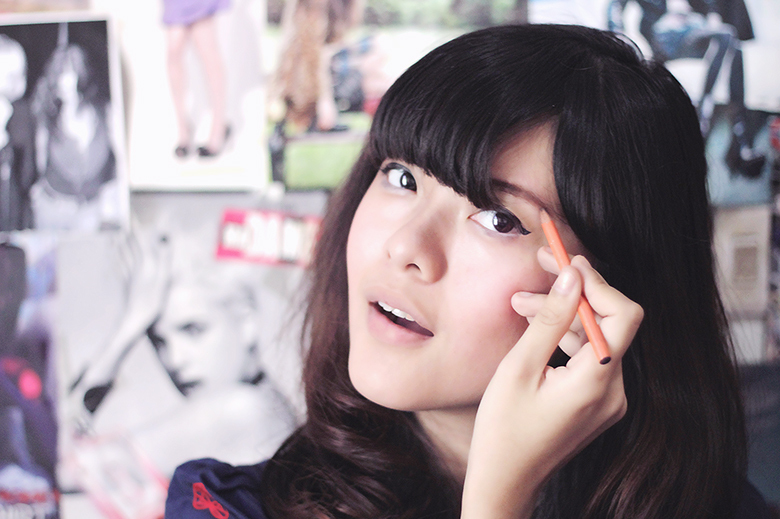 Such a simple everyday make-up, I think it's really light and perfect! I think you've perfected the technique of using the eyeliner to make the "cat-eye" look! I have a question though, does the lipstick dries out your lips? 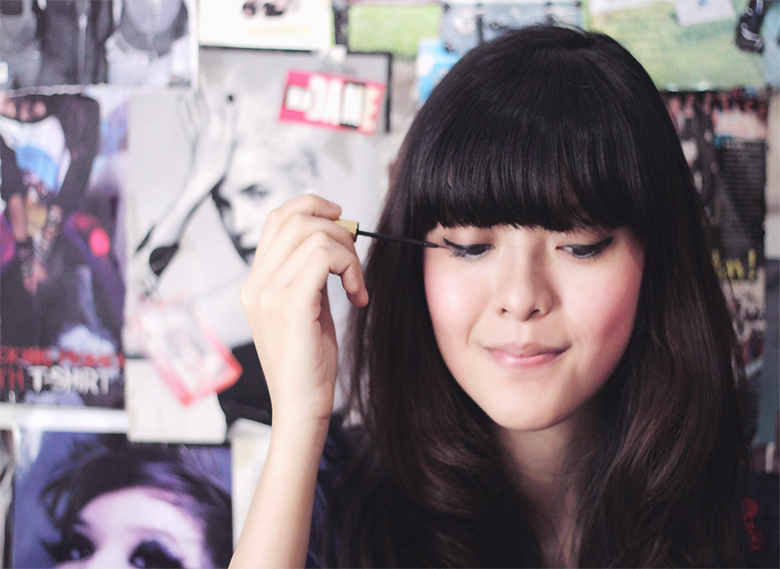 Do you ever consider just using lipbalm or lipstain instead? 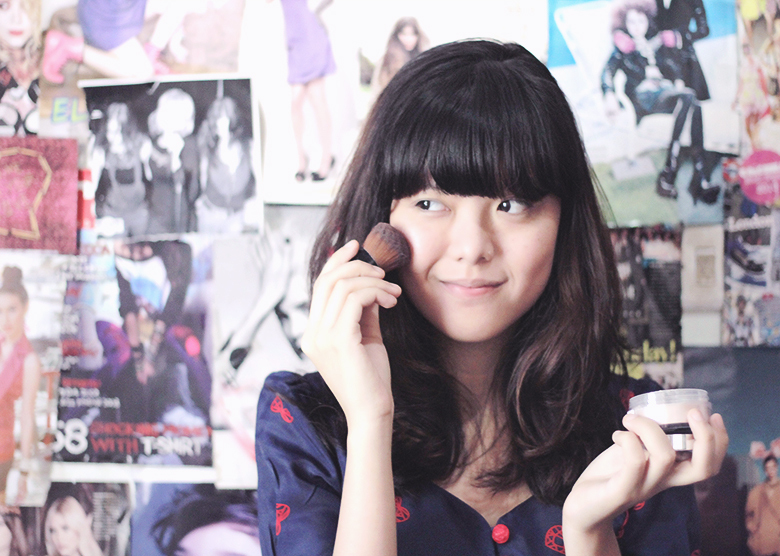 I love your make up routine.